In its response to Pres Ramaphosa’s State of the Nation Address, Solidarity today said it is clear that the ruling party’s basic premise is that more government control would lead to better results, notwithstanding the disastrous consequences state interference has brought over so many years. The obstinate pressing on with, among other things, the National Health Insurance and the commitment to expropriate property without compensation, are indicative of a state that is trying to make people more dependent on it. Measured by this speech there is, according to Human, no indication but that government would be an even greater obstacle to economic growth. “The ruling party indicates that billions of rands of taxpayers’ money would be spent on improving the current state of affairs. South Africa’s problem is not that government spends too little money; it is that they are losing too much money. Unfortunately, competence does not increase as numbers grow, and more money poured into government projects that are not feasible only means less money in South Africans’ pockets and more debt for the fiscus, while the impact on South Africans’ lives is at best negligible and at worst clearly detrimental,” Human said. Human also makes the point that state institutions paralysed by poor management are not sustainable. “Apart from the small green twig that comes in the form of a promise of a turnaround at Eskom by separating business units, state enterprises still remain bottomless pits for plundering that are paralysed by poor management, while the taxpayer has to bear the brunt of it. The ruling party will have to realise that technocratically overwhelming organs of state simply cannot function effectively – no matter who serves on the boards of such organisations,” Human said. 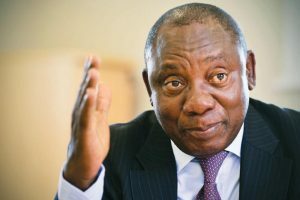 “Ramaphosa and the ruling party still seem blissfully unaware of the fact that government and the innovation of business are mutually exclusive. Private business must be allowed to address the issues as referred to in the State of the Nation Address. As can be seen the world over, the private sector remains the primary source for dynamic, innovative and paradigm-shifting ideas. If only government had more confidence in ordinary South Africans to decide on their own affairs instead of centralising all decisions in the hands of a few government officials we would all have been much better off,” Human concluded.